Born in Fukushima, Japan, Mazie K. Hirono was nearly eight years old when her mother brought her and her older brother to Hawaii to escape an abusive husband and seek a better life. Hirono served in the Hawaii House of Representatives from 1981 to 1994 and earned a reputation as an advocate for consumers and workers. After being elected as Hawaii’s lieutenant governor in 1994, Hirono led efforts to support Hawaii’s vital tourism industry through visa reform. Voters in Hawaii’s second congressional district elected Hirono to serve in the U.S. House of Representatives in 2006. The people of Hawaii then elected her to the U.S. Senate in November 2012 by a twenty-five point margin. Upon her swearing in, Hirono became Hawaii’s first female senator and the country’s first Asian American woman senator to ever serve in the upper chamber. 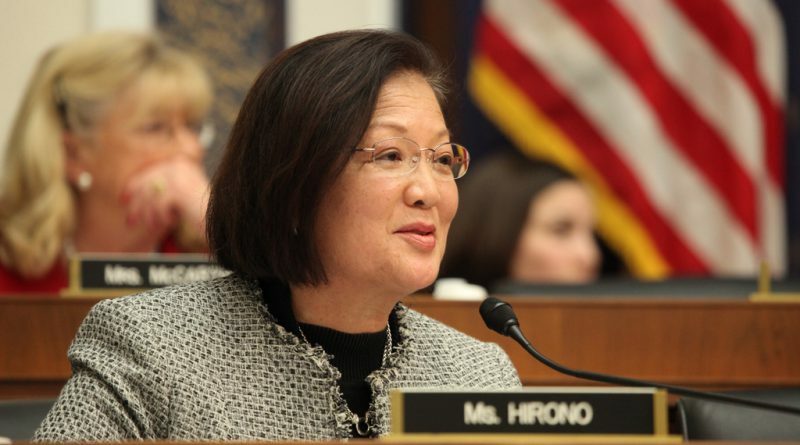 Hirono was appointed to sit on the Armed Services, Judiciary, and Veterans Affairs committees. Mariel Lim was most recently Legislative Counsel to Congressman Albio Sires (NJ-13). Her primary role was to staff the congressman at the Transportation and Infrastructure Committee. She spent more than five years on the Hill where she advised on issues including civil rights, education, health care, labor, and women’s issues. Lim has played an active role in her community and served on the Asian Pacific American Bar Association from 2009 to 2012. She also served on the board of the Women’s Congressional Staff Association from 2008 to 2010 and was president of the Congressional Asian Pacific American Staff Association in 2009. Lim graduated from Valparaiso University School of Law and received her bachelor of arts degree in political science from Binghamton University. You have dedicated much of your life to public service. What or who inspired you? My greatest inspiration continues to be my mother because she showed me that one person can make a difference. She changed my life by bringing me to this country—escaping a terrible marriage in Japan. It is also true that other experiences turned me to public service as a way to make a difference. Protesting the war in Vietnam made me think that political change is a good way to help. As someone who has served in the Hawaii state legislature, as a statewide elected official, and as a member of Congress, what unique perspectives do you bring to your new role as senator? I think that diversity in the Senate is really important and certainly important in the House too. When you have people of diverse backgrounds and experiences come together to make decisions, I think that we make better decisions that reflect the diversity of our country. And, I certainly represent some of this diversity in the Senate as a woman, Asian, immigrant, and Buddhist. What do you think are the most pressing issues facing Asian Americans, Pacific Islanders, and Native Hawaiians (AAPINH) in your state and across the country? There are a lot of specific issues, but from a political standpoint I think that it’s clear that AAPINHs can have a much greater influence in the political arena. Right now, they may not necessarily be as engaged. This can change if AAPINHs become much more actively involved in the political arena by supporting their candidates who are running for office or by running for office themselves. I think that’s one of the challenges facing the APPINH community. Many Asian Americans choose more traditional career paths as opposed to a political career. Do you have any advice for aspiring politicians or public policy makers? They have to be willing to take a risk and get off the sidelines. I know that sometimes our culture does not point us toward the public arena, but we could all push ourselves. I am a perfect example of someone who you would have never thought would be in politics for the length of time that I have had the privilege to serve. But if you are empowered by a desire to make a difference and you look to politics as a way to make social change, you should go for it. Take the risk. I think this is one of the biggest traits that people who run for elected office share. 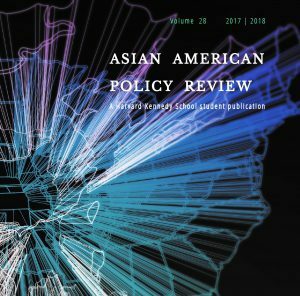 There is a wave of newly elected Asian American and Pacific Islander (AAPI) leaders at the local, state, and federal level in the United States. The 2010 U.S. Census also shows that the AAPI community is one of the fastest-growing segments of the country. What can we do as a community to influence and mobilize around the political process? Clearly, with more AAPIs running for federal office and being elected than ever before and with the difference AAPIs have made by voting in elections, this is a really good time for the AAPI community to become more engaged and understand the power that they have. They should consider running for office or helping people run for office. Let’s face it. All communities are affected by the political decisions that are made, and so each community should get engaged, especially one that is growing in influence. With a seat on the Senate Judiciary Committee, is there a certain issue that you are looking forward to addressing in this committee? One of the most complex issues will be immigration reform, and that is something near and dear to my heart. I want to make sure that immigration reform follows some guiding principles, of which one should be family unity—family reunification. In particular, there is one group that has long been waiting to be reunited with their children, and that is the Filipino World War II veterans. I hope that any comprehensive immigration reform will have a special provision for them. Again, family reunification continues to be an important guiding principle. The recent string of gun violence these past several years has brought gun control back to the forefront of the policy debate. What are your thoughts on gun control? I hope that we can close major loopholes in our gun control laws. This is not about abrogating the Second Amendment’s rights to guns, but there are some substantial loopholes. This includes loopholes around background checks. I also think we can pass laws that deal with gun trafficking. I hope that we can have some positive movement in reducing gun violence in our country, and I think these are some of the ways we can do just that. Given the president’s remarks in the 2013 State of the Union address and your own family’s history of immigration, what would you consider to be the most important components of a comprehensive immigration reform bill? Earlier you mentioned the importance of family reunification. Again, family reunification is an important guiding principle. We also need to create a path to citizenship for the 11 million undocumented persons who are living in the shadows. I’d also like to see our current immigration process addressed. There is a huge backlog of people who want to come to this country and reunite with their families, and most of this backlog is comprised of those from Asian countries. In addition, I hope that we can put in some visa changes, specifically tourist visas. Particularly, I’d like to have a bill that would encourage more of them to come visit the United States. I’m currently working on a bill that would do just that. What has been the most challenging part of your transition from the U.S. House of Representatives to the U.S. Senate? Well, for one thing, I’m really glad to be here. While I miss my friends in the House, I’m glad to be able to continue my work in the Senate. This is a very different place with different rules, different people, and a different number of members. But I am focused on getting to know my colleagues on my committees and getting to know the lay of the land so that I can do a good job for the people in Hawaii.